Bangladesh babies' garment(s) has untapped export potential (the difference between potential and actual exports in value terms), which is leaving room to realise additional exports worth of US$ 296.8 million (or more than Tk 24 billion). It is also stunning that the export growth of the product(s) from Bangladesh increased by more than 1103 per cent. Market diversification along with increasing the volume of potential exportable items is crucial for increasing the export volume of Bangladesh, thereby implementing Bangladesh's export-led growth strategy. In Bangladesh, more or less 83 per cent export earnings come from RMG (knitwear and woven wear) products. In fiscal year 2017-18, Bangladesh export earnings from the RMG sector reached more than US$ 30 billion as the country exported to 161 countries around the globe. 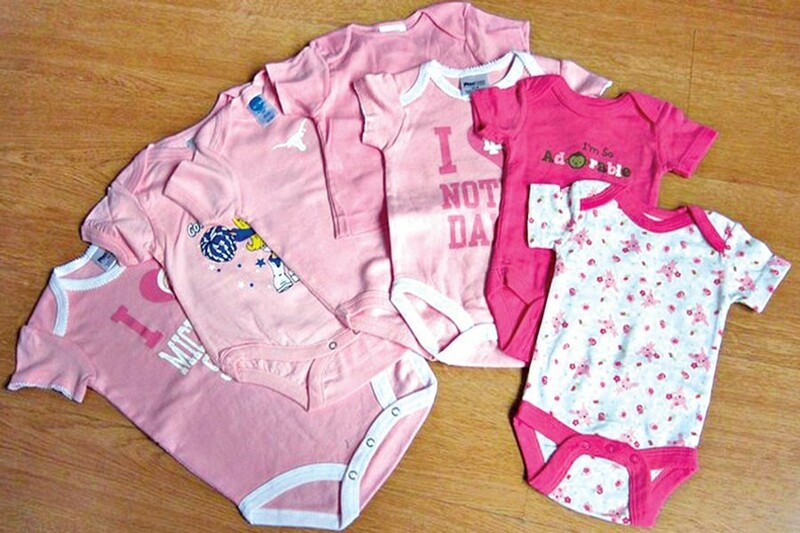 Babies' garment(s) is among the top 15 exporting products of Bangladesh. Babies' garment(s) is one of the leading exportable items in Bangladesh. Bangladesh ranks the 2nd in exporting the product. The top 10 importer countries of Bangladesh's babies' garments include the USA, Germany, France, Spain, the UK, Poland, Italy, the Netherlands, Belgium, and China, which account for around 81 percent share of total export of it. In those countries, Bangladeshi-made baby garments are in high demand. Given the worldwide huge market demand for babies' garments; Bangladesh holds immense potential to establish a strong foothold in the global market through making diversified and cutting-edge design. In 2017, Bangladesh met 12.28 per cent of total global babies' garments demand. But in a real sense, there has remained untapped export potential for the product with US$ 296.8 million (i.e. more than 24 billion BDT) in the global market whereas the actual export earnings from babies' garments were US$ 767.18 million. China, India, and Bangladesh are the most promising exporters in terms of babies' garment exports as per the ITC export potential map, 2017. As the third-largest potential exporter in the global babies' garments producer, Bangladesh can avail the opportunity to grab an additional export volume of the product. For China and India, the untapped export potential for Babies' garments is equivalent to US$ 1.4 billion, and $656 million respectively. The greatest potential export markets for Bangladeshi babies' garments (HS 611120) include the USA (untapped potential remaining $55.7 mm), the UK ($35.3 mm), China ($26.4 mm), France ($25.8 mm), Spain ($19 mm), the Netherlands ($12.2 mm), Italy ($11.2 mm), Belgium ($8.1 mm), Poland ($2.8 mm), and Germany in which Bangladesh supplied 12.33 per cent of their total babies' garments need in 2017. In these countries, as of 2017, 18.73 to 12.82 per cent of the population belong to age group 0-14 years. These import markets comprise more than 66 per cent of the total remaining babies' garments export potential for Bangladesh. * The government' should facilitate the factories or companies willing to establish their own brand, or to open retail outlet abroad. Data source: EPB; BBS; ITC trade map, ITC Export Potential Map, CIA fact book. The authors are senior assistant secretaries, Research and Development cell, Bangladesh Knitwear Manufacturers and Exporters Association (BKMEA).